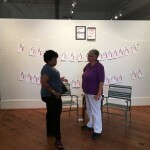 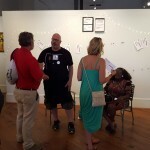 At the Mill Hill Artist Residency – Meet & Greet, attendees were asked to sit at a table with me (one at time) to be interviewed. 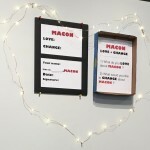 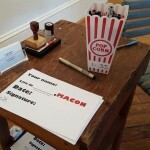 Questions were 1) what do you love about Macon? 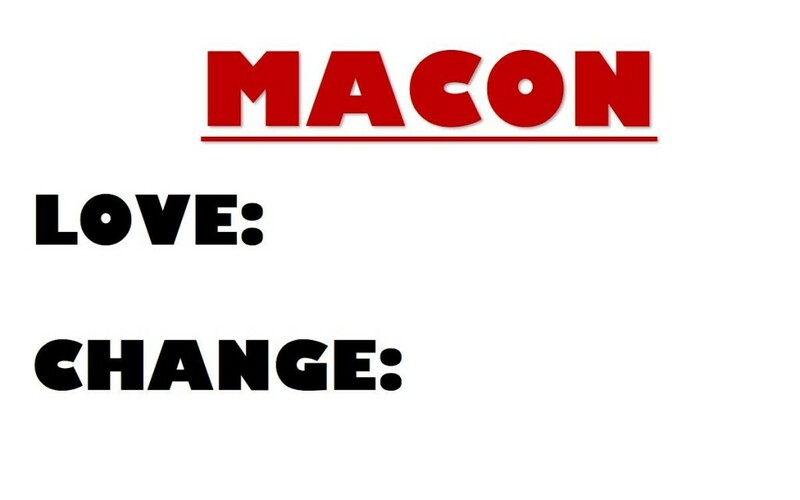 2) what would you like to change about Macon? 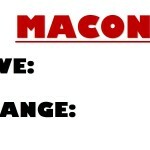 3) what area do you live in Macon? 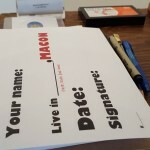 4) do you have any other stories and histories about Macon? 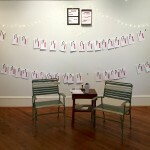 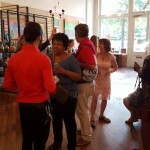 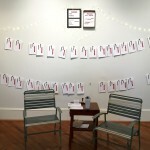 Their answers were written on cards and displayed in the gallery for participants to read and compare answers – prompting more in-depth discussions.